I am so pleased Jenn Bailey took time out of her busy book launch schedule to visit with us here at Friend Friday. If you’re like me, you’ve seen buzz for her picture book, A Friend For Henry, illustrated by Mika Song (Chronicle Books) EVERYWHERE. That energy is particularly rewarding for a “quiet” book like this, which oftentimes takes longer to find its place in the world, as Jenn shares below. Kirby! Thank you so much for inviting me to come hang out with you and all these wonderful authors. 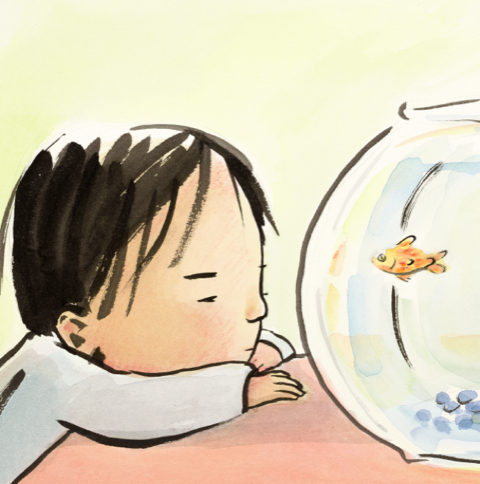 And thank you for the chance to talk about A Friend for Henry (Chronicle Books). As you may have guessed, this book came from the deepest place in my heart. My middle child has Asperger’s syndrome, which is a diagnosis on the autism spectrum. He is quick and clever, incredibly funny and empathetic, but you might only see these qualities if he knows you well, or if you visit our home. The world doesn’t see the child I know. The world, and especially schools, are geared toward the extrovert. I know, because I am one. It was revelatory for me to see my son struggle to find a place and to see him misinterpreted and overlooked. It broke my heart. So many quiet, introverted kids are struggling to make their voices heard. Struggling to make connections. But they need space to gather their thoughts and energy. They need patience for their process. They need acceptance for who they are. 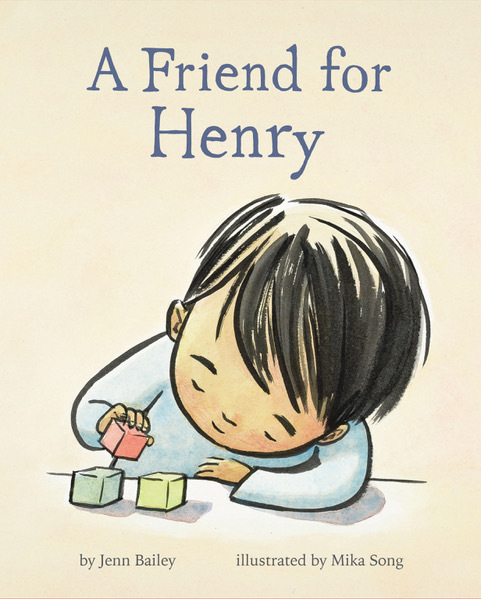 A Friend for Henry is for those kids. When you write a quiet book with a main character who could be seen on the autism spectrum there are challenges. For instance, the book could be labeled a disability book. It could get set on the special education shelf and disregarded. You see the irony, right? That example can be a direct metaphor for what happens to these introverted kids. They’re labeled—shy, weird, autistic—and dismissed. I worked and fought really hard to make sure that didn’t happen to this story. I am so grateful my editor, Daria Harper, and my agent, Rosemary Stimola, were in that fight with me. Another challenge was to show agency in a character who didn’t seem to have any. After reading an early draft, one of my critique partners said, “Henry doesn’t seem to want a friend.” Which was true. My son often felt the amount of stress involved in friendships outweighed the nebulous benefit. He would shut down. So, how could I show Henry’s agency? It wouldn’t be through action or dialogue. It had to be by bringing readers into Henry’s mind. My experience with my own child showed me that what looked like disinterest was actually a rapid-fire mental process seeking a way to connect. It was key to show that process in the book. And to show the usually unintended outcome. Which led to the greatest challenge I faced. Realizing that despite Henry’s efforts, despite the efforts of many introverted children, there would be more rejection than success. For that, I took comfort in what we authors know: As long as we authentically share our truths, we will find our reader. And when our children authentically share themselves, they can find a friend. Jenn Bailey has visited all fifty states and most of the world’s oceans but not nearly enough foreign countries. 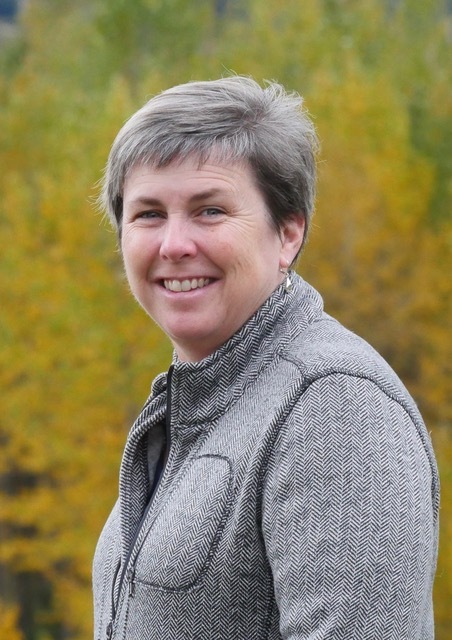 Although she started life in Warwick, Rhode Island, she now calls Kansas City home where she happily watches the Royals and eats BBQ with her husband, three sons (although one has now launched), and numerous cats and dogs. Jenn works as an editor and has recently graduated from the Vermont College of Fine Arts with her MFA in Writing for Children and Young Adults. You can find her on Twitter or Facebook or her website.